YACHT WEEK CROATIA 2017: The Ultimate Guide For The Yacht Week! Welcome to my in-depth guide to planning for the Yacht Week Croatia. Below you’ll find the answers to all of your questions about Yacht Week Croatia as well as my insanely popular Yacht Week Packing List which features what I call the “Yacht Week Necessities”, aka a short list of some of the best things to pack for the Yacht Week in order to really get the most out of the experience. 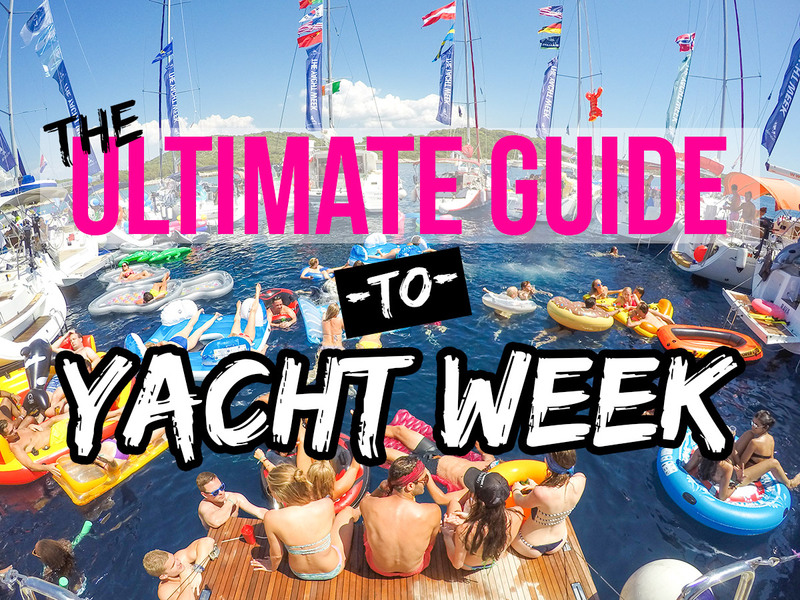 I think you’ll find this article to be extremely helpful with your planning for Yacht Week. As always, if you have any questions, please be sure to leave a comment and I’ll respond as soon as possible. Yacht Week Croatia is absolutely insane. It’s fun, it’s wild, it’s crazy and it’s downright exhausting to say the least. It’s likely to be one of the most memorable weeks of your life. I mean, how could it not be, right? You, your friends, lots of sunshine and drinks in hand. The perfect recipe for creating memories that will last a lifetime. Are you ready to set sail on Yacht Week and see where the wind takes you? As many of you know, my friends and I just finished up a week of madness on Yacht Week Croatia and I’m here to report to you that this week was not only the longest and most tiring week of my life but it was also a week that I’ll never, ever forget. If this is your first time attending the Yacht Week, there’s a good chance you probably felt a lot like I did when I first signed up. Like me, your mind is probably filled with curiosity and a seemingly endless list of unanswered questions. Some that won’t be answered until you experience them first hand. I’m going to do my best to try to walk you through The Yacht Week Croatia process and give you a bunch of really useful information that will prepare you (at least somewhat) for what you’re about to experience on The Yacht Week. 1. Find Some Adventurous (single) Souls — The first step in booking Yacht Week is to find a crew of people that are down for a true adventure. While I recommend going with at least a few people that you know, plenty of people join the crew list on yachts with a group of strangers and still manage to have an incredible time. That being said, attending Yacht Week Croatia with a group of friends is the ultimate way to go in my opinion. Open Minded People: When choosing your crew it’s very important to try to gather up a good group of open minded people. Close minded, complainers, and those who are “accustomed to life back home” should be your last resort when trying to fill your boat. People with Similar Interests: Choosing a crew that has similar interests is important. The yachts are small, personal space is limited and more importantly Yacht Week Croatia can get weird (no explanation necessary) so having close minded or grumpy people on board isn’t the best idea. Singles. Not Couples: Couples on Yacht Week. I know I might receive some harsh feedback for this but Yacht Week is for single people. Straight up. Couples do couple-y things. They generally keep to themselves, they bicker, they argue, and they’re usually a lot more reserved around their significant other. While there’s nothing wrong with these things (it’s completely natural), it can definitely put a damper on the environment of your boat. I spoke to a few singles who had a couples aboard their boats and all of them said the same thing. The Yacht Week Croatia is not for couples. Again, this is strictly my opinion based off of what I’ve experienced and after speaking with others on YW. 2. Choosing your Route — The Yacht Week has routes in Croatia, Greece, Turkey, Italy, Thailand and the BVI’s although the most popular route is Croatia, where TYW first originated. There are two routes you can take on Yacht Week Croatia; the Black Route and the Red Route. Both routes are identical, they just operate in the opposite direction of each other. I asked my skipper what the most popular route was and he said the the Black Route is far more popular than the Red. For example, we had 48 yachts on our route (Black Route) versus just 24 boats on the Red Route. Go Black! 3. Choosing Your Yacht — As I mentioned above, Yacht Week Croatia is a long week of partying and fun in the sun. If you’re wanting to truly make the most of your trip, I highly recommend you charter the best yacht possible. There are a variety of yacht charters available on Yacht Week but the quality, price and amenities available on board can vary big time. Do yourself a favor and rent the best yacht possible, or at least the best yacht that you can afford. At the end of the day you and your crew can try to pinch pennies to make Yacht Week happen but if you’re not on a decent boat, it’s going to make your week that much more exhausting. If there was one complaint that I heard most during my week when speaking to other YW’ers, it was that their boats were blazing hot throughout the night. The amount of time you have to sleep on Yacht Week is already limited due to the nonstop parties and the nature of the trip. Imagine heading back to your boat at sunrise to catch up on a couple hours of sleep and not being able to sleep due to the heat? Nightmare. In my opinion, getting a yacht with air conditioning is crucial. Now that I’ve done Yacht Week Croatia with an air-conditioned yacht, I wouldn’t do it any other way. Our yacht happened to be one of four boats on Yacht Week with air conditioning. Did I mention there was 48 other yachts sailing alongside us that week? That means if you’re wanting to snag a boat with air conditioning on board, you’re going to have to act fast when booking. 4. Registering and Checking in — Once your yacht is booked, go ahead and make sure you send out your personalized invite link to your entire crew so they can register for a Yacht Week account and check in on the crew list. It’s a requirement for all crew members to register and check in on your yacht week booking prior to arriving at the marina. Upon arrival to the marina, your crew will need to fill out details such as their name, passport number, nationality, email, date of birth and gender. 1. Travel Insurance — When prepping for Yacht Week Croatia, your first priority should be to make sure you make a small investment towards your health and well being by purchasing a travel insurance policy for your trip. Not only will this policy cover you if your bags are lost/stolen and if your flight is delayed/cancelled, but you’ll also be covered for all medical and injury related issues as well. Nobody wants to have to cover the cost of you getting airlifted home from the middle of the Adriatic Sea (no, not even your parents). Anytime you mix partying out on the open water and slippery boats, you’re just about guaranteed to encounter a few injuries along the way. 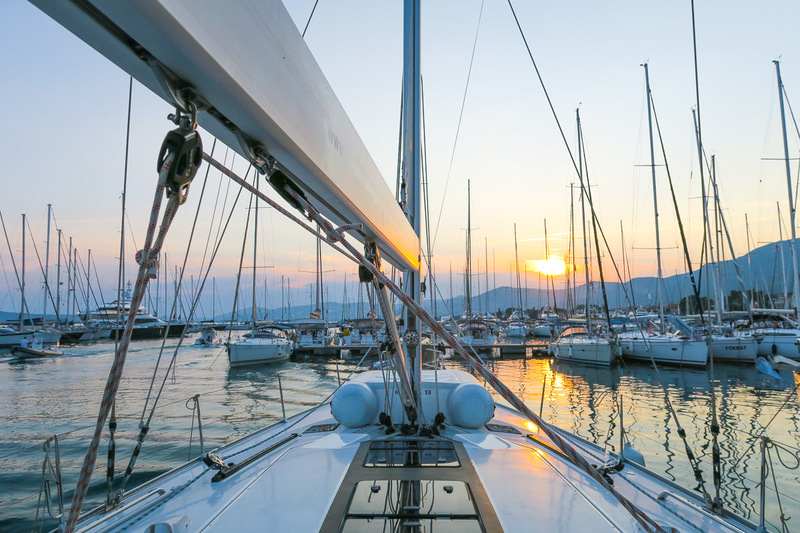 When it comes to Yacht Week, travel insurance is an absolute must and a win-win situation when considering how inexpensive travel insurance is these days. 2. 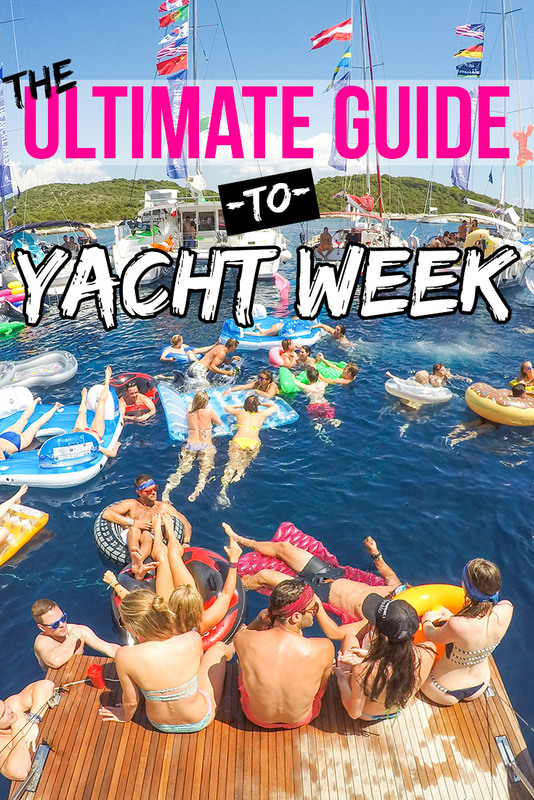 Create a Yacht Week Playlist — The best way to manage your music on Yacht Week Croatia is to create a few killer Spotify playlists. Oh, and don’t forget to pick up a standard 3.5mm aux cable. With the aux cable, you’ll be able to connect your phone directly to the onboard stereo system on your yacht and jam out all day. Now, you’re probably thinking. But, if I don’t have Internet, how can I listen to Spotify? Well, here are two ways to go about it. If you’re a Spotify Premium user, you’ll be able to listen to all of your music offline. Anytime, anywhere. Grab your subscription before you head out and don’t forget to make all of your music available offline before you set sail. *Spotify Premium is FREE for 30 days so be sure to take advantage of the free month right before you head out on your trip. After the first 30 days, you will be billed $9.99/mo. If you don’t want to pay, simply cancel your subscription. The second and best option (IMO) is to pack an unlocked smartphone with you when you head to Croatia. Why? Well, with an unlocked phone, you can pick up a sim card at T-Center (aka T-Mobile) when you’re in Split and you can purchase a 7-day unlimited data sim card for approximately $12 USD. Now, you’ll be able to stream your spotify all week without worrying about data overages. If you don’t want to deal with streaming music on Yacht Week, simply throw together a playlist on your phone and you’ll be good to go. 3. Diet & Exercise — Working out and staying in shape prior to Yacht Week is important on so many levels. You’ll be surrounded by boat loads of good looking people wearing little or next to nothing so being comfortable in your own skin will be key to enhancing your overall YW experience. Remember, Yacht Week is a week long marathon of sailing, partying and eating whatever you can get your hands on. Preparing yourself by eating healthy and exercising prior to Yacht Week is highly recommended before setting sail on a week of mayhem and very little sleep on the open sea. Try this free bodyweight workout to get you started. 4. Planning your Arrival — I highly recommend that you do not plan to arrive on the actual day of departure for Yacht Week. International flights often get delayed and even cancelled and I’m pretty sure you’re not going to want to splurge on Yacht Week only to find out that your flight isn’t going to make it and you’ve now missed out on an incredible week that you’ve had planned for months now. Do yourself and the rest of your crew a favor and plan to arrive at least one day prior to the start of Yacht Week Croatia. 5. Accommodations prior to Yacht Week — When it comes to Yacht Week accommodations, I can personally recommend and vouch for this Airbnb apartment in Split. SAVE $20 OFF YOUR FIRST AIRBNB STAY! 6. 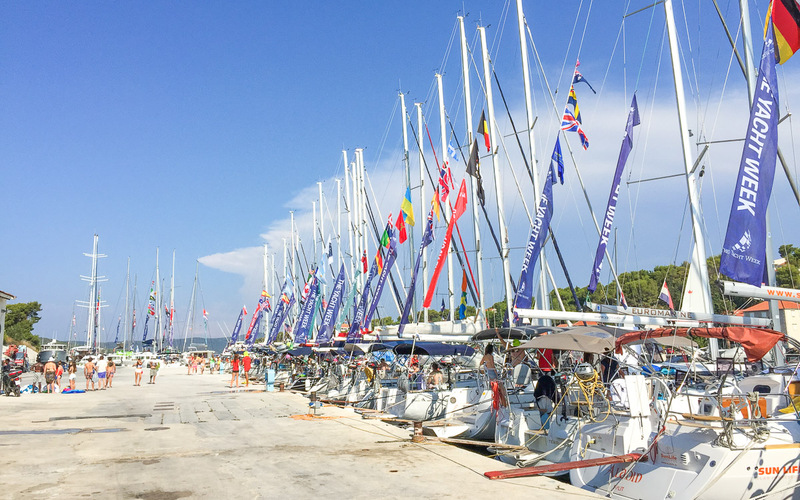 Split Activities and Tours — If you find yourself in Split for a couple of days before or after Yacht Week, you should definitely make an effort to explore the city and wander all the little alleyways that connect the city to the sea. There is so much to see, do and experience in Split. Here are some of the best tours and activities to check out during your visit. Are you a Game of Thrones fan? If so, you might be interested in this exclusive Game of Thrones Tour. 7. Which Marina? — In order to prepare for Yacht Week, you’re going to want to figure out which marina your yacht is assigned to. Why? Because there are several marinas in Split. Some of the marinas are quite far from each other and I can see this becoming an issue if you or your crew decide to show up on the day of departure. You can find the marina assigned to your yacht on your Yacht Week Croatia reservation page. Once you figure out which marina you need to be at, click here to find directions to get there. 8. Crew Explorer — Now that you’re all booked and ready to go, it’s time to find out who else is going to be joining you on Yacht Week. Go ahead and log in to your booking and scroll down to the Crew Explorer section to see a list of Facebook profiles for all the other Yacht Weekers that will be joining you on your route. Another great way to meet fellow Yacht Weekers is to download the official Yacht Week app (iOS only). Upload a photo and introduce yourself now. Overpacking for Yacht Week can be a huge mistake. Let’s face it, nobody wants to be tripping over giant mounds of clothes and accessories that will ultimately never get worn or used. As I mentioned above, no matter how big of a yacht you charter, space is still going to be tight no matter how you look at it. Do yourself and your crew a big favor and pack a carry-on bag for Yacht Week Croatia. 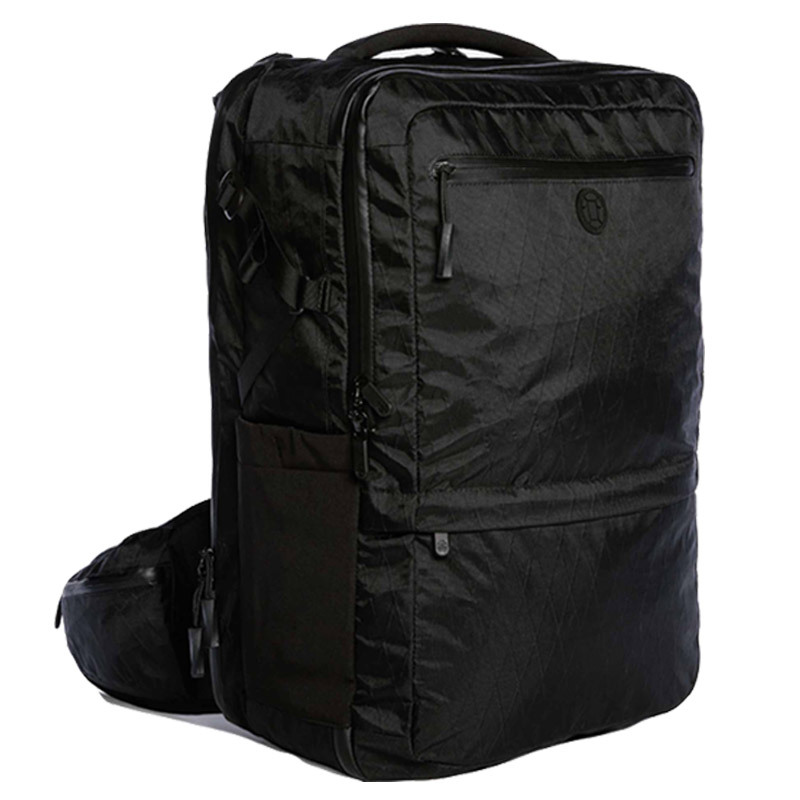 The Outbreaker (available in 35L or 45L) is my recommended go-to bag for The Yacht Week. After a few days of everyone tripping over each others belongings on our yacht, everyone will be wishing they had picked one of these up. 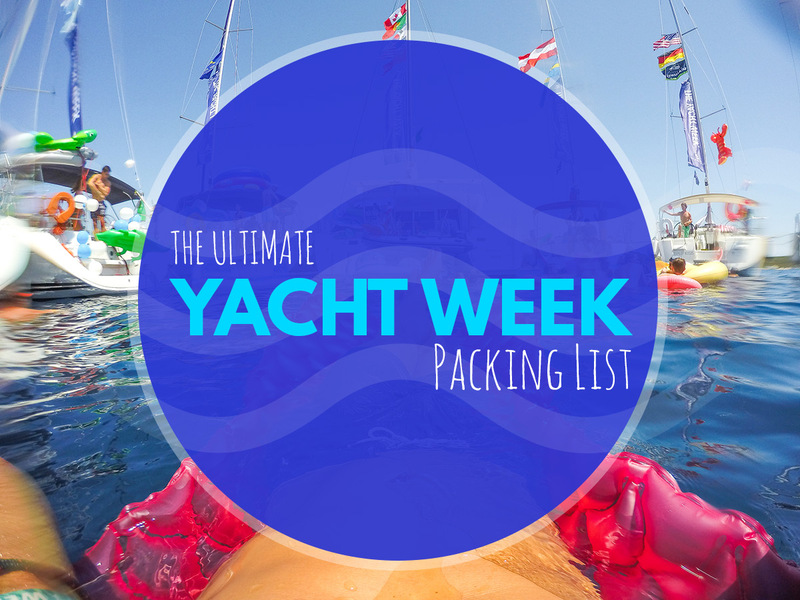 CLICK HERE NOW TO SEE THE FULL YACHT WEEK PACKING LIST! When it comes to food and drink on Yacht Week, you’ve got two options. You can either hire a hostess that will join you for the week and take care of all the cooking, cleaning and food shopping OR decide to do it on your own. We decided to skip out on hiring a hostess and we survived. That being said, if I was to do another Yacht Week I would definitely prefer to hire a hostess next time around. Not only do they know exactly what to buy and how much to buy when it comes to food and drinks, they also cook/prepare meals for you on board while you kick back and enjoy Yacht Week. Oh, and how many of you want to do dishes and clean the yacht while on vacation? Because we did Yacht Week on our own without a hostess, I’m going to provide you with a short list of what you should consider picking up before setting sail. Beverages — Lots of them. You wouldn’t believe how hot it gets when you’re out at sea. In order to stay hydrated, a good rule is to buy 1.5 to 2x more than you think you’ll need. Bread — For sandwiches, of course. Start with two or three loaves of bread and see where that gets you. Worst case you have to pick up another few loaves on one of the islands. Deli meats — Choose food that is easy to prepare. Deli meats do the trick and they’ll last at least a few days in the refrigerator. PB & J — Perfect solution for a nice snack in between meals. Easy to slap together and always delicious. Snacks — Don’t forget to pick up snacks like chips, pretzels and nuts. Almonds are great for keeping you full and healthy for you, too. Pasta — Pasta is not only super easy to cook but it’s also a meal almost everyone eats. Don’t forget to buy twice as much sauce as you think you might need. Sauce goes fast. 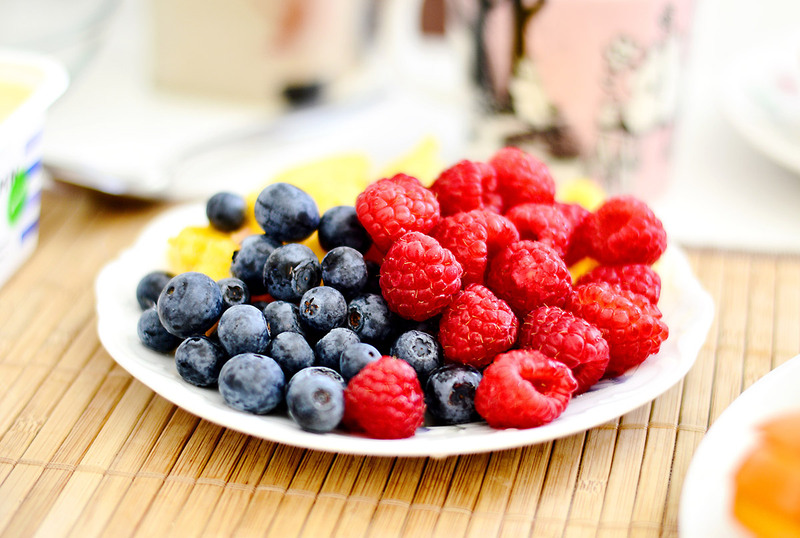 Fresh fruit & vegetables — Pineapple, berries, apples, oranges and bananas are perfect for the morning and even afternoon snacks. Veggies such as spinach and tomatoes are great for whipping up quick salads. Don’t leave without stocking up on fruit and vegetables. Yogurt — Great breakfast option with a side of fruit or granola. My partnership with Cayman Jack came in seriously handy for Yacht Week as they were nice enough to send out a small shipment of margaritas for my journey. I must say, there’s nothing better than sipping on a few bottles of CJ after a long day of fun in the sun on Yacht Week. Yum! For those of you who aren’t familiar with Cayman Jack, it’s a delicious, hand-crafted margarita made with all-natural ingredients. CJ is all about adventure, worldly exploration and embracing the journey that leads you to your final destination – which is why I’ve decided to take them along with me on my own journey as I explore Europe this summer. 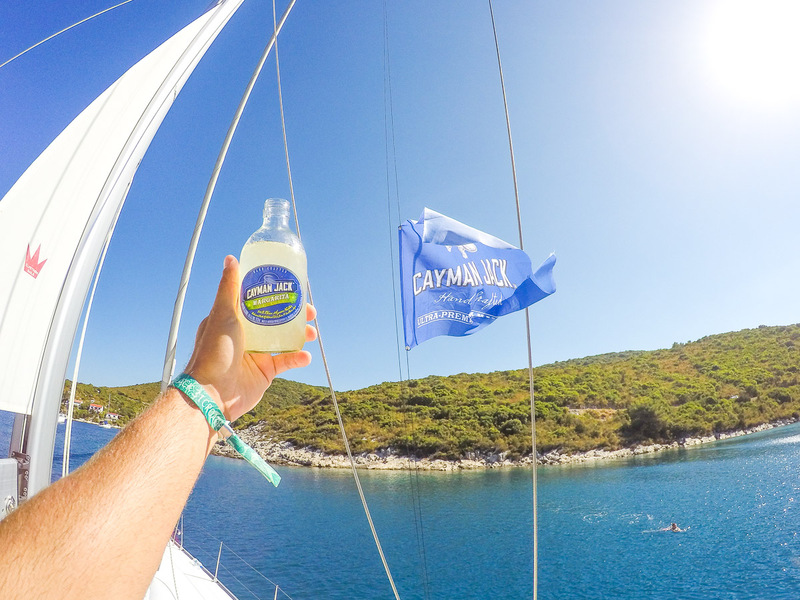 Learn more about my partnership with Cayman Jack here. Did you know Uber serves the city of Split? If not, now you know. What’s even better is that you can get your first ride free (up to 50 HRK or approximately $7.50 USD) when signing up for a new Uber account. Already have the Uber app? CLICK HERE and follow the simple step-by-step instructions to receive your 50 HRK credit towards your first ride. Got questions about Yacht Week Croatia? Feel free to leave a comment below and I’ll get back to you ASAP. It certainly was! We booked on March 18th for the week of July 25th-August 1st. I would recommend you try to book things as soon as possible. My group and I are booking Croatia tomorrow. Do you recommend the food package? We’re all picky eaters and 1/3 of the items we won’t eat. Thanks. Awesome! Nah, I recommend you do your own shopping especially if you’re picky. That way you can buy exactly what you guys like to eat/drink. Best of luck. You’re going to have the time of your life! Sick review mate. Did you go for bottle service at the clubs? What was the pricing like? Thanks Daniel. Yeah we did bottle service at most of the venues. It’s really nice to have a table to call home although it’s not always 100% necessary. If you’re going to get a table/bottle service at any venue throughout the week, make sure you get one at the White Party. Trust me on this. 2. If we hire a hostess, they take care of the food right? And I assume it’s the food packages listed on the site? I don’t think any of us will want to shop/cook/clean. Should we be buying our own alcohol? 3. How much approx would you say each person spent all in on average? I know that might be tough to answer, but I’ve told ppl to assume at least $3k a pop for boat & flight. 4. For flying out – did you fly out a day after or same day of the final docking? 5. A couple friends of mine who went before said they got super seasick/motion sickness – it was hard to sleep at night and being hungover didn’t help much – did anyone on your boat experience this and do you have advice? 6. This year I see they also have a Croatia Ultra route – do you know anything about that? Would you advise that over black? 7. That’s it for now but I’d really love to pick your brain some more as I go through this process! No problem at all. Glad to be of assistance to you. 2. The Yacht Week Hostesses will take care of the shopping for you. They won’t BUY the food/drinks, that’s on you. They will shop for you though. If you want to avoid things like shopping/cooking/cleaning, definitely shoot for a hostess. 3. Unfortunately, I don’t know the numbers. I’d say I probably spent somewhere around $2k all in. That being said a couple of my friends on board picked up bottle service in a few of the clubs and they ended up spending a lot more than I did. Also I should mention that I was already in Europe for the summer so my flight to Croatia was cheap. 4. I was in Europe from June to October so I didn’t actually fly in for Yacht Week. I arrived in Split two days before Yacht Week started and spent a night or two on the tail end before flying to my next destination. 5. Nobody on our boat had any issues with sea sickness. I know some people wore these wristband things but I can’t remember what they’re called. They seemed to think that they worked well. 6. We had one of the most experienced skippers on our boat and he said Ultra week + Yacht Week is a waste. Do one or the other. Yacht Week is crazy enough. Combining both Yacht Week and the Ultra Music Festival doesn’t sound like a great time to me. That’s just my two cents. Feel free to reply to this comment with any other questions! Best of luck. YES! Great review Ryan and THANK YOU! I’m a hostess for The Yacht Week — last season I did four weeks in Greece and then four in Croatia! Best job EVER. A little more detail on us — we’re fun ambassadors — we want you the have the best week of your life so our sole job is to make sure you’re having the absolute best time with the least amount of stress or worrying about the “little things”. We cook, clean, and make sure you know the best of everything on the islands (excursions, things to do/see, best places to eat – you name it!) plus we work with the skippers to book tables and any reservations you might want. I’ll guide you to ferries, Carpe Diem Beach and all the other fun things TYW has planned and some that aren’t (treehouse drinks in Palmy anyone?). Hi Shay! Thanks for stopping by and giving everyone some more insight on what it is you hostesses do. This is gold! Ryan, thanks so much. This is great! Shay, you answered exactly the questions I was wondering. I’m planning my first Yacht week in Croatia and I have a couple of people that are Vegan. Do you think the hostess would be able to accommodate for that too? Thanks in advance! We did the July 25th-August 1st route. June will be beautiful. Sunny and HOT! Hey Ryan! Very informative article for a first-timer like myself :). I’ve been doing a lot of reading on what to expect for the YW but I still have quite a few questions if you don’t mind taking the time to answer them! 1. For starters, what do you do about waste? I’m sure it’s very easy to accumulate a lot very quickly. And as a follow up to that, would you recommend getting jugs of water rather than individual water bottles as to try and reduce the amount of waste? 2. Are things such as pots & pans, plates, cups, and utensils all included in the kitchenette of the yacht? Or must we purchase paper plates and whatnot on our own? 3. God forbid we run out of liquor half-way through, but if so, are there markets or places on the islands we stop at where we could purchase more? 4. I’ve read that water and electricity are only available at the harbors: does this mean that showers/sinks/toilets and such cannot be used while at sea? 5. The Crew Boat Party – it looks fun! Is it worth it? 6. Exactly how strict are they about the ‘no music at the marina in the evenings’? Do people just after party with no tunes at all? 7. How much cash would you recommend having on hand for the entirety of the week? I’ve read that some of the organized YW events don’t take cards which is surprising to me. 8. And last, but not least, how much is an appropriate amount to tip the skipper? Thank you for the feedback. I’m glad you found the article to be helpful. 1. We bought giant trash bags and our skipper would store them in a compartment at the back of the boat each night. We would get rid of the trash when we docked up. Jugs of water might be a good idea. We bought big packs of individual waters and they ended up being really convenient. That being said, it’s not the best idea if you’re worried about the environment. 2. I can’t speak for all boats but ours had the basics (pots, pans, etc). We bought plastic silverwear and paper plates. 3. There’s always places to re-up on booze although I would recommend buying a huge supply of it before you depart because it goes fast when you’re out on the water. My advice is to buy more than you think you’ll need. 4. We had water and electricity on our boat. Our boat had a big water tank and we used a generator for electricity. I’m not sure all boats have these types of amenities though. I recommend you shoot a msg to Yacht Week to see what your boat has and what it doesn’t. 5. All of the Yacht Week Croatia parties are a must. They’re all unique and you’re guaranteed to have a blast. It’s one hell of a long week of partying. Prepare yourself. 6. Some people play music on their boats but to be honest you really can’t have it loud because it’s not fair to other (non-yacht weekers who are docked up at the same marina). 7. This is such a hard question to answer. My advice is to have more Euros than you think you’ll need. I will say though that some of my crew were putting bottle service on their credit cards at every party. Individual drinks at the bar? Probably cash only. 8. This is completely subjective and depends on how good you think your skipper was. Every crew has different experiences w/ their skippers. I think somewhere between $50-100/pp is decent. Be sure to let me know if you have any other questions! 1. Where would you stay the night before you sail out? Hotel? Hostel? 3. What did you do with your valuables credit card, money, jewelry, etc while you were on off the boat? Is theft an issue? Thanks again so much for your awesome blog! It is much appreciated! Hi Kate. Congrats on booking your first Yacht Week! 1. I rented an airbnb apartment in Split for a few days prior to setting sail. The morning of departure I taxied over to the port. Simple and easy. 2. I’m not saying your not going to have fun going as couples. You will. It’s just not built for couples (IMO). Yacht Week Croatia is really for singles. The other yacht weeks (Greece, BVI’s, etc) might be more suited for couples. 3. I left all my valuables in my room locked in my bags. In my case, there was always at least one or two people from our boat on the boat at all times. I didn’t really worry about it too much. Fortunately, nothing got stolen. Thanks for following along. Hope this helps. Currently a group of 3 of us are planning to do the Week 29 Ultra Cruise (16th-23rd July). We are unsure how to go about booking with such a low number of people. Could you make any recommendations? Is it viable to just book 2 cabins on someone else’s Yacht? Hey Jono. Your best bet would probably be to book the yacht for the 3 of you and then add your yacht to the Yacht Week Crew Finder and then single people that want to join Yacht Week can reach out to you and grab a spot on your boat. The only other way you could do it would be to use the crew finder to find 2 spots on someone else’s yacht. Ah yes this sounds like a great idea. I was wondering if you have experienced or know anyone who has used Quest.Life? We were thinking of booking a 2 person cabin on one of their catamarans for Ultra Week 29, but we are a bit unsure of their reliability. Hey Jono. No, I’ve never heard of that company so I can’t vouch for them. Thanks so much for this Ryan! Quick question: There are A LOT of Croatia weeks available. Is there a specific time that people generally go the most. I would hate to pick a week where no one is there. No problem Jasmine! I wouldn’t worry too much about being on YW alone. I believe almost every week sells out completely for the Croatia routes. You could always shoot an email to YW and ask them which weeks are the busiest. I think that the first few weeks and the last couple weeks probably have a few less yachts otherwise it’s madness as depicted in this post. Fantastic blog post, super helpful! Glad I could help! Best of luck. I would like to ask, do you happen to know which boats have Air Conditioning on them? Thanks for the feedback. Unfortunately, I do not. I would recommend you reach out to Yacht Week prior to booking to get a list of the boats available that have A/C on board. Enjoy yourself! Is there somewhere to blow up our floats in Split if we bring our own? I’d rather bring one with me because we found some awesome ones here in the U.S., but they’re also huge so blowing them up on my own is certainly not going to work out very well!! Thanks! Yeah there’s a float inflating station thingy at the first stop on the first day. You shouldn’t have any issues at all. Plus, most people bring their own electric pumps so worst case scenario you’d be able to borrow one. Excellent and thoughtful review. I am heading with a crew for Ultra Week 29 this year and I am counting the moments until we are all there to celebrate. With regard to the White Party in Hvar, is that a weekly event that is thrown or is it on a specific date? I look forward to reading your reviews in future and I would truly appreciate your feedback. Hey Michael. The white party is one of the many parties that Yacht Week hosts during the week (in Hvar) and it depends on which route you do (Black Route or the Red Route). I was on the black route so our party was earlier in the week. I believe the Red Route doesn’t do the white party until the end of the week as they travel in the opposite direction. Best of luck and enjoy yourself! Great post btw! I have a couple of questions that hopefully you can answer. I’ve heard that water taxis really stick it to you, Is their any way around them? How much money do you recommend that we budget daily pp, to have a really good time? Fine dining options on the islands? Do they sell commercial liquor and beers at the islands? Must does on the islands that you recommend? 1. There are free water taxis that are reserved for Yacht Weekers and run to/from the islands from where you’re docked but they only run at certain times. If you want to leave early sometimes you need to take a private one which will cost you but when it’s between a group of people it’s pretty minimal. 2. Most of your eating and drinking will be done aboard your yacht. Drinks at sea go faster for whatever reason so make sure you stock up big when you do your first shopping trip. What you spend in the bars/clubs outside of that really depends on how much you drink, what types of drinks and at which bars you’re drinking at. I really can’t help you too much with a daily budget because it’s so different for each and every person. That being said I can’t imagine you spending more than 300 Croatian Kuna per day (approx. $50 USD) between food and drinks (if you eat out at restaurants when on land). 3. There are plenty of fine dining options available. All you need to do is ask your skipper. They know the best and most expensive places on the island if that’s your thing. 4. Yes, the islands rely heavily on Yacht Week tourism so there are plenty of opportunities to pick up liquor, beers, ice and more. 5. I don’t have too many recommendations for the islands because we were either on the boat partying with everyone else or on the islands at night at the nightly parties. The down time you do have is for eating, relaxing and maybe even getting an hour or two of sleep. 1. Once the TYW concludes should I stay a night in SPU and make my way to the sites the following morning? Bus? Tour? Taxi? And after the site visits, do I stay in a place nearby? I just need an idea of when to purchase my ZAG>BCN flight. 2. If (when) my site visits happen, I’ll only have about 3 nights in BCN before I have to get to LAX by August 14th. In your opinion, should I skip BCN and save it for another time when I have more time or is that time to get a good taste? 3. When traveling to the locations mentioned above, can I purchase last minute or is that a huge mistake/waste of money? I’m just not certain of my plans. 5. I feel like I may die during TYW. We don’t have AC or a generator…or a hostess! Any advice? How do we survive? Is it really just the basics; fruits, veggies, meats, carbs, and water? 6. Planning on exchanging money here in the states….do I get Kuna or Euros? 7. Are there many skippers who get requests to visit the Blue & Green Caves and Lagoons? I feel like this is a must! right? Glad to hear you are joining the Yacht Week. You’re going to have a great time! I highly recommend you visit Plitvice, it’s incredible. It’s slightly closer to Zagreb (2 hrs 3 mins) versus 2hrs 31 mins from Split. Don’t forget there’s also Krka National Park which is only 1 hr from Split. What makes it more of a popular day trip from Split is they actually allow you to swim there unlike Plitvice. 1. You’ll arrive back in Split for your final night (final Yacht Week party) so if it’s going to be a long night I would recommend you grab an Airbnb for the following day to rest up. 2. You can do a lot in BCN in 3 nights. Just be prepared to use the public transport here because the sights are pretty spread out. I would recommend Park Guell, Montjuic, La Sagrada Familia, Barceloneta Beach. 3. I would recommend purchasing flights at least a little ahead of time. The days of finding cheap last minute tickets are long gone. That said, you can find lots of great deals using some of the European budget airlines. 4. Yes, of course. You might be tired after a week of partying though. 5. Yeah, not having AC on the Yacht Week is a big deal. At least for me. The majority of people on YW complained about not being able to sleep due to the heat on the boats at night. You won’t die but you certainly won’t be comfortable. As for the hostess, it’s not a game changer. She would just make things a little easier when it comes to the purchasing/cooking/cleaning. Fruits, veggies, sandwiches (PB&J), water. 6. Croatia uses Kuna so I would recommend you just grab Kuna out of the ATM in Split prior to departure. 7. Sure. You can ask your skipper to visit the caves. It really just comes down to how many people on your boat want to visit them. Well, I hope I’ve been able to answer all of your questions and make you feel a little more at ease. As always, be sure to leave a comment if you have more questions. Amazing! Thank you for taking the time. I’ve decided that after TYW I’m going to stay 2 nights in Zadar in order to take my time resting and visiting the Sea Organ, Plitvice, and Krka. I’ve booked all my travel and will have 5 nights in BCN and excited to check out the places you’ve advised. I’m feeling great about everything, but the yacht AC. Hmmm. No problem at all. I’m always here to help. Your plans sound great! 5 nights in BCN will be plenty to see most of what it has to offer. Enjoy and best of luck! Hi there, I’m looking into doing a Croatia sail week next year the week before Ultra. Im just doing my research on the different options, The yacht week, sail H.R or sail Croatia. I’ve heard many good things about TYW and Sail HR. the only thing is I might only be doing my sail with one friend as I’m sure I’ll make new friends during the time anyway. which would you recommend would be best for me? this post was very informative, a good read! Hi Erica. Unfortunately, I have zero personal experience with either Yacht Week alternative. I think your best bet would be to scour the web looking for reviews on both of those alternatives and see which one suits you best. Another way you could potentially find out more about these is to search Instagram for their hashtags and reach out to people through Direct Message on IG asking them what they thought about the trip. Hope this helps! 1) I’ve heard a couple people say catamarans are a lot better than the yachts have you heard that at all? 1. The Yacht Week catamarans are really cool and have a completely different layout than the actual yachts. Regardless, be sure to get one with air conditioning if you plan on sleeping. 2. Our yacht had a pretty big fridge/freezer combo that stored a lot of beers, bottles of liquor, food, etc. I think it really depends on the yacht you choose as each one is different from the next. You could always reach out to the Yacht Week and inquire about the boat you’re thinking of booking. 3. We had 11 people on our yacht (not including our skipper). Total cost for the yacht: $12,934 USD — approximately $1,175 USD per person. That being said, we didn’t want to make the girls pay as much as us so we all threw in more cash to compensate for the difference. Hope you find this helpful. Feel free to reply with anymore questions you might have. If not, best of luck! Thanks, one more I’ve been reading about bottle service I saw you mention it in an earlier question, what prices do they charge for it do you know? Hey Adam. Bottle service prices vary between clubs. It’s nothing to do with the Yacht Week at all. Basically your skipper will line up bottle service for you if you need/want it. We reserved our yacht directly through the Yacht Week website. What was the average age of the people? We are 33-36 years old. Are we too old? Hey Ryan, excellent piece of work! I wanted to ask you few things because i’m planning to go with some friends of mine from Argentina. If you can answer, that will be appreciated. 1. I read that a Hostess is really helpfull. But, the captain that is not included, is 100% neccesary? 2. How much is the bottle service approximately? 3. How much did you spend, between food, drinks, extras and yatch during the entire week? 4. It’s recommended to make a reservation just for me and my friend, and then the company join us with another group? 1. I think the hostess can be a great thing if there’s a group of guys who could really careless about shopping/cleaning up after themselves. The hostesses know their stuff and they know what to buy at the supermarkets, what the easiest and most affordable options are when it comes to eating at sea and you can rest assured that your boat will be clean at the end of the week. This is completely up to the group. I suggest you round up your friends and have a conversation about this prior to booking. 2. Bottle service prices ranged from club to club. The bottles we were getting were giant (6L or something crazy) and from what I can remember were $1,500+. I honestly don’t remember the prices. 3.Food/Drinks/Extras: I would say somewhere between $500-700? We drank a lot on the boat so we weren’t buying much out at the clubs. Yes, there was bottle service but that was only at some of the special events. 4. Well, if you charter a yacht for yourselves, you’re going to have to hope that you’ll find others to join. I think if it’s only the two of you, you would be better off finding another yacht that’s looking to add 2 to their crew. Just wondering how we choose the black route over the red route? Is there an option in the booking process that allows us to choose? Thanks for your blog post, seriously helpful! Hey Mel. Yes, there is an option and you’ll find it during the booking process. Glad to hear that you found this helpful! This was a super helpful article! I’m looking to join a boat via the crew finder and see an option in Croatia (with no air conditioning) and another option (with air conditioning) in Greece. Any other information that you know that might help me decide which destination? Thanks! Well from what I hear… the difference between Yacht Week Croatia and Yacht Week Greece is that Croatia is more of a party and there’s always 1.5-2x the amount of yachts on the route than Greece. I think Greece is a party but a little more chilled and definitely less people. That’s unfortunate about the boat with no air conditioning on YW Croatia. What a bummer. I mean plenty of people do it without AC. Just depends on how comfortable you think you’ll be without it. It’s a tough call. On another note — generally speaking (not talking Yacht Week) I can’t get enough of Greece. It’s one of my favorite countries in the world. Great article. Quick question: what is the average temperature of the ocean in those parts at the beginning of June? I live in a Miami and from what I’ve seen it’s not that warm that week of yacht week. Hi Millie. I don’t know the average temps of the sea but what I can tell you is that it will be refreshing after being in the scorching sun all day. No worries about the water. It will surely be more cool than the coast of Miami but not freezing by any means. Regarding the bottle service, how much pp would you say it was ? (probably hard to answer as different clubs vary). I can imagine the tables get reserved quickly….how would you suggest going about getting them sorted ? Hi Jas. Excellent! You’re going to have a great time for sure. Honestly, I can’t answer the pp prices as it varied from club to club and also there are a variety of brands and sizes of bottles. I just don’t know, unfortunately. As for the tables, you can ask your skipper or your hostess to line those up. Do it, it’s worth it. This is an amazing article. Thank you so much. I am buying everything on the packing list. I’m going to yacht week Croatia in July. I’m scared I will overpack!! Hey Amy. I don’t know if there’s a “going rate”. I would advise you reach out to TYW to find out if they recommend a certain percentage. 1. How far in advance do bookings usually become available? 2. How does it work in regards to booking your own yacht then posting for other people to join? Hi Kam. Thanks for the feedback. 1. I’m not sure exactly how early they announce the dates. I would reach out to the Yacht Week to check on that. Hey ! Thanks for all the helpful tips ! I was wondering how/where can we send floaties? Is there a place where we can get them pumped ?? My friends and I are thinking of doing this next summer, but have one concern. Are there actual opportunities to see Croatia and the culture on the island throughout the week or do you pretty much stay docked out in the open water unless there are the parties at night? Hey Rachel — I highly recommend it! ;-) Unfortunately, there won’t be much time to explore much as it’s really about the party. It’s pretty much a non-stop week of partying day and night. There are very few windows of opportunity to actually sightsee and do things on the islands. If you’re looking to actually see and explore Croatia it would need to be either prior to Yacht Week or afterwards. Best of luck! Hello, could you help me on one thing? When usually happens the white party? Which day of the seven day trip? Hi Marcela. The White party was on day 3 for our crew. I think it depends on which route you’re on. Your review has probably been the most helpful of them all so far! I have a couple questions I hope you don’t mind answering them? 1. How many days prior to leaving would you suggest staying in Split for? If we decide to do this trip we obviously will be arriving to Split prior to the day the yachts leave, so how many days would be enough to explore Split? 2. We are a group of girls- around 20-23 year olds… Were there much people of that age group going on the yachts or will we probably be one of the younger ones? 3. How does it work booking a boat with air conditioning? Is it randomly assigned or do you select it? Because I see that you had gotten a boat with air conditioning, and I would assume that those are the boats to sell out first, however you had booked yours not too long before leaving! 4. How exactly does paying for yachts work? I could be completely wrong here- Because I figured that it was a specific amount per person, but is it actually purchasing the yacht as a whole? So for example, if I were to get a group of 4-6 girls would we just throw in a chunk of money to pay for the yacht or is it a certain amount per person to pay? 6. Was there a day where you needed costumes for your whole crew? I read something about that somewhere online…. Hey! Is there a week out of the summer that is supposed to be the craziest? Thank so much for all the info so far! Hi Ryan, awesome article and photos! 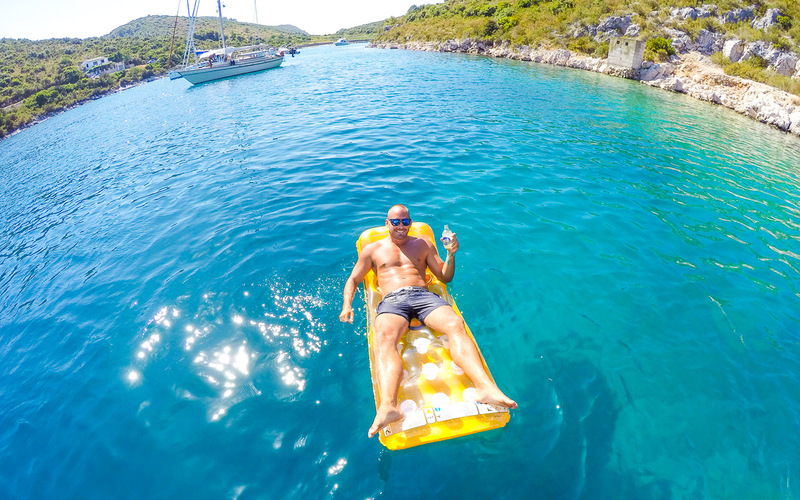 Guys, rent a boat for Croatia island hopping and enjoy perfect sailing vacation. You can get best sailing experience at lowest cost in the market on our site. 1). are you obligated to always be with your specific crew at the parties? 2). Do people ever hop around from boat to boat, or branch off away from their crew and do their own thing? I’m traveling solo and already committed to a boat and crew but was just wondering if people sort of wander off on their own and make friends on different boats. 3). Is it more common than not that people wind up spending the night on a different boat? 1. No, of course not. You can hang with whoever you’d like. Some people end up sleeping on other people’s boats the entire week. You have zero obligations to your crew. 2. Yes. All the time. Awesome post, thanks for all the info! As for sleeping arrangements; each cabin has one bed for two people to share? Hi Ryan! Thank you for the informative article. My gf and I are turning 30 this summer, her bday is in july and mine is in Aug. Trouble is we can figure out which week to go. I know you replied to a comment in 2016 about either the first weeks or the last few weeks. Any new changes since 2016? Hi Megan. I think it remains the same. The first and last few weeks are generally the best. Wishing you two a happy birthday and a great trip!